Very drugstore. Everything's from affordable shops. Forever21 jacket, H&M tee, Bossini pants, M&S heels. 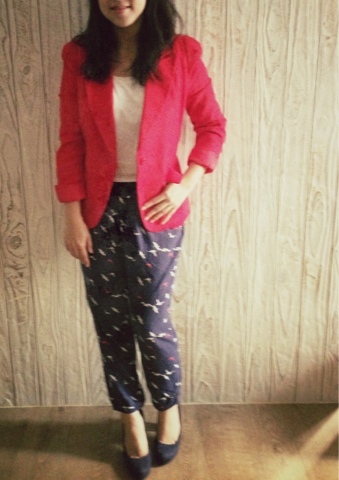 I think you wear printed pants so well - i love the bright blazer pairing!